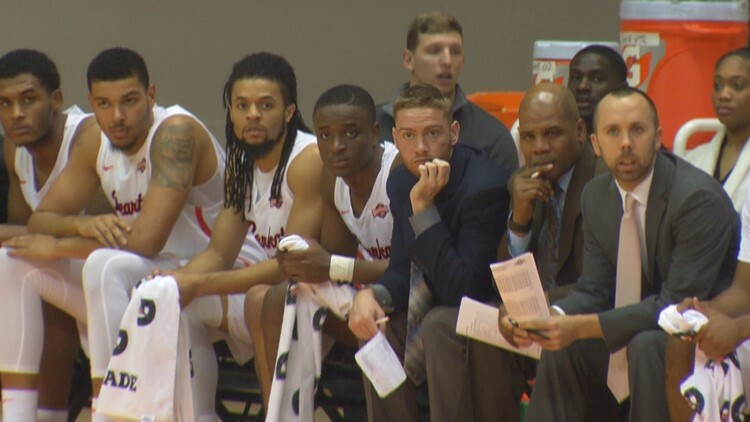 CORPUS CHRISTI, Texas — Kai Mitchell split a pair of free throws with four seconds left as Sam Houston State edged Texas A&M-Corpus Christi 70-69 on Wednesday night for its 13th straight win. Chad Bowie's 3-pointer with 56 seconds left gave the Bearkats a 69-66 lead with 56 seconds left. Jashawn Talton converted a 3-point play to tie it at 69 with 31 seconds to go before Mitchell won it making the second of two free-throw attempts. Cameron Delaney had 19 points and nine rebounds to lead Sam Houston State. Mitchell, Josh Delaney, and Zach Nutall each added 11 points. Talton scored 18 points and grabbed eight rebounds to lead Texas A&M-Corpus Christi. Emmanuel Toney had 12 points.